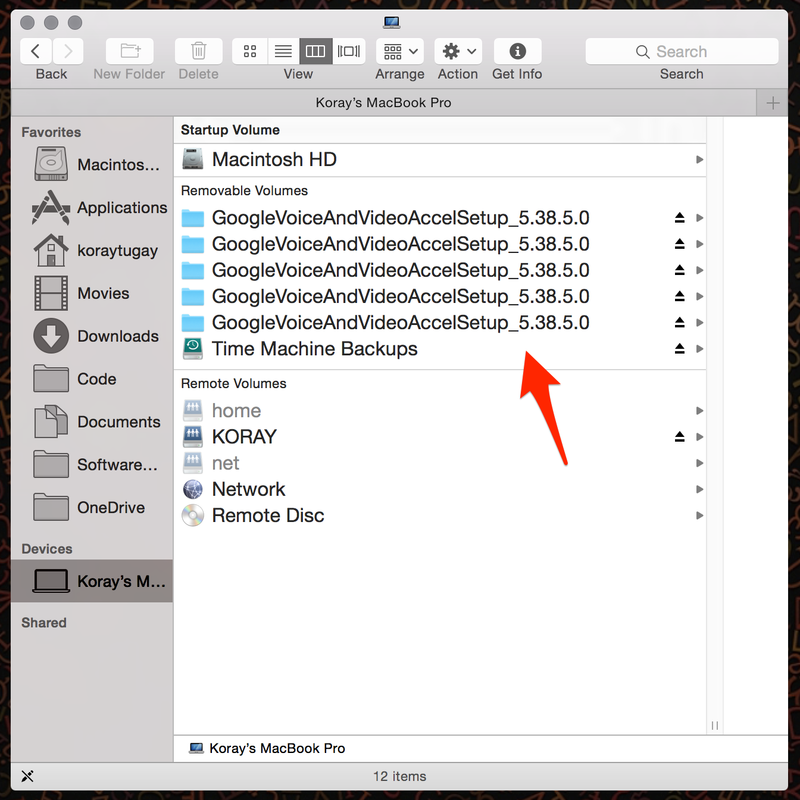 How to finish GoogleVoiceAndVideoAccelSetup on Mac Os Yosemite? I have no idea where these came from and I can not get rid of them.. The eject buttons next to them do not seem to do any work. This happened after Yosemite update. Result: All GoogleVoiceAndVideoAccelSetup* volumes removed. Use the terminal to go to /private/tmp, and you'll find a set of folders which name starts with 2014*, in my case I had 20141118101236 and 20141117152211. It seems that each of these folders match with every "zombie" Google volume displayed in finder. I was about to delete both folders, but before deleting them I decided to open the tmp folder with finder by doing "open ." from the terminal, and once the finder window popped up the "zombie" folders from My Mac got deleted automatically, it must have been a cache problem.